Dental crown in India is done at the dental hospitals and clinics having a team of professionals and specialists at low cost. The centres are well equipped and have the latest instrument and state of the art amenities and the dental team are committed to provide world class dental treatment with their vast experience. Indian Healthguru aids overseas patients get the best healthcare for almost all kinds of problems, in India at affordable costs. Budget-friendly: The expenses incurred in the entire medical travel for dental crown in India are nearly 30% of that in most Western countries. Teeth are the beauty devices that help you to display a beautiful smile. Dental Crown is a type of dental restoration which, when cemented into place, fully cup over the portion of a tooth that lies at and above the gum line. In comparison, fillings are dental restorations that fill in or cover over just a portion of a tooth. Since dental crowns encase the entire visible aspect of a tooth, a dental crown in effect becomes the tooth's new outer surface. With more and more people turning to cosmetic dentistry to create a perfect smile crowns have become widely used for improving the appearance of healthy teeth. A dental crown is a tooth-shaped "cap" that is placed over a tooth -- covering the tooth to restore its shape and size, strength, and/or to improve its appearance. The crowns, when cemented into place, fully encase the entire visible portion of a tooth that lies at and above the gum line. They are typically bonded to the tooth using dental cement. Crowns can be made from many materials, which are usually fabricated using indirect methods. A good candidate for a Dental Crown should have the desire to correct damaged teeth. Teeth that are cracked, chipped or decayed could benefit from crowns. A patient’s dentist may determine that dental crowns are needed to aid in other dental procedures such as a dental bridge or covering a dental implant post. In addition to the physical characteristics needed for the procedure, a good candidate for dental crowns will have a complete understanding of the dental procedure and recovery. The patient should be willing to go through the process that could take two or three visits depending on the damage involved and any other oral health issues that may be a factor. Many dentists may want to correct other dental or oral health concerns prior to completing the crowns. What Types of Dental Crown is available? How to Prepare for a Dental Crown? A Dental Crown can be installed in two dental appointments. To be at ease, it may help you to know what to expect and how to prepare for this procedure. The installation of the dental crowns is a pain-free procedure. First appointment: During the first appointment, the dentist will assess the condition of your teeth. Then, he will take off a few millimeters from your tooth, to be able to fit the crown on it. You won’t feel any pain, as you will receive an anesthetic. Eat before your appointment, so as to avoid any complications that may be caused by anesthesia (i.e. fainting). In case there is too little left of your original tooth, the dentist may add some cement to have a stable base for the crown. When the tooth has a desired shape, the dentist will take an impression of the tooth and the neighboring teeth as well. The impression material is soft and won’t hurt, but it will be kept in your mouth to dry. The impression will be sent to the technician, along with the indication of the right shade of color for the crown. The shade for the crown will be chosen judging by the shade of the surrounding teeth. The dentist will make a temporary crown made of plastic or metal, to protect the tooth while you wait for the crown to be ready. Second appointment: The dental crown will be ready in up to 2 weeks, depending on the technician. The temporary crown will be exchanged for the permanent one and you need to feel if it is comfortable. Make sure the crown is not too high when you bite on it; the dentist will take a look at your teeth from different angles to see if the crown is a perfect fit. If need be, the technician will make some modifications on the dental crown, so another appointment will be required. What is the Procedure of Dental Crown? If you’ve never had a dental crown, it can be daunting. However, dental crowns are very common and routine. It typically takes two visits for a crown. In some cases, there exists technology that allows a crown to be prepared and cemented in only one visit (such as CEREC). Prior to recommending a crown for a tooth, your dentist will examine the tooth, bone, nerve, and surrounding tissues both clinically and radiographically (with x-rays). From the exam, your dentist will indicate the ideal treatment for your tooth. In some circumstances, if the nerve of the tooth is infected and painful, or if the tooth has extensive decay that infiltrates the nerve of the tooth, a root canal may first be performed. If a root canal is unnecessary the following steps will be taken. The soft tissue and tooth will be anesthetized and the area can be isolated with a rubber dam. The old filling and decay will be removed. After the old filling and decay is removed a build-up will be completed to replace the missing tooth structure. After the build-up is performed, the tooth will be prepared for the crown. Once the tooth is prepared, an impression will be taken of the prepared tooth. The dental assistant will make a plastic, tooth colored temporary crown. The temporary crown is cemented in place with temporary cement. The dental impression is sent to an expert dental lab technician who will fabricate the crown. The dental lab takes approximately 2-3 weeks to complete the process, which means that the patient will have the temporary crown for 2-3 weeks. 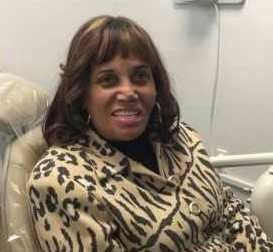 During the second visit, the dentist removes the temporary crown and replaces it with the permanent one. He or she will check to ensure it fits correctly, that it doesn’t affect your bite, and that it blends in nicely. If the patient and dentist agree on the appearance and feel of the new crown, the tooth can be numbed and the permanent crown is cemented. How is the Life After Dental Crown? You shouldn't feel any discomfort or sensitivity after a crown is placed. However, if your tooth has not had a root canal it will still contain the nerve. You may therefore have some temporary sensitivity to heat and cold. If you notice pain or sensitivity when you bite down, contact your dentist. Usually this means that the crown is too high. This can be adjusted easily. You may notice a thin, dark line next to the gum line on your crowned tooth if you look very closely in the mirror, particularly if you have a PFM crown. This dark line is the metal of the crown showing through and is normal. A crowned tooth is protected from decay, except for the gum line. Your dentist may prescribe a high-fluoride gel for you to use every night to protect against decay. A crown does not protect against gum disease. You should continue practicing good oral hygiene. Crowns, especially all-porcelain ones, can chip. This can sometimes be repaired in the mouth. Your dentist will etch the porcelain with acid and bond a composite resin to it to fix the chip. Porcelain repairs often don't last long. If there's a lot of chipping, you may need a replacement crown. It's also possible that the cement could wash out from under the crown, but the crown does not fall out. Under these conditions, bacteria can leak in and cause decay. If your crown seems loose when you chew, or if you have an unusual odor around the tooth, discuss this with your dentist. Your dentist will check your crowns at your regular visits. Crowns sometimes fall out. This can be caused by a lack of cement or an improper fit. If this happens, place the crown in a secure, zip-top plastic bag. Then bring it to your dentist to have it cemented back in place. If you are in no discomfort and your appearance is not affected, don't try to put the crown back in place yourself. If you do need to put it back in your mouth, clean it well on the inside. Use a toothpick to loosen and remove any cement or debris that is stuck to the crown. A wet cotton swab can finish the cleaning. You can replace the crown temporarily using denture adhesive or temporary cement. This is sold in many pharmacies. Contact your dental office immediately and try to schedule a visit for the next day. If you are away from home, seek a dentist in the area who can evaluate the problem. You may need a new crown or it may be possible to cement the old one back on the tooth. What are the Benefits of Dental Crown? On average, a Dental Crown last between 5 and 15 years. The life span of a crown depends on the amount of "wear and tear" the crown is exposed to, how well you follow good oral hygiene practices, and your personal mouth-related habits (you should avoid such habits as grinding or clenching your teeth, chewing ice, biting your fingernails and using your teeth to open packaging). Is there any Alternative for Dental Crown? If you are not suitable for a crown then consider having a dental veneer. These are thin ‘shells’ which fit over your teeth in order to improve their appearance. Your dentist will be able to advise you about an alternative. The section on dental veneers contains useful information about this alternative form of treatment. Why a Dental Crown in India? Dental Crown in India is best option for International patients, if you are looking for budget saving and good dental treatment. In the recent years, the evolution to Indian healthcare infrastructure has made the country an excellent choice for low-cost, high-quality medical treatment for foreign patients. As a result, India’s international reputation in the medical tourism sphere is growing. The Dental hospitals and clinics in India have team of professional and specialist who have a passion for the science of medical treatment. 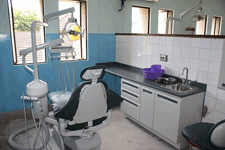 These centres are well equipped clinic with the latest instrument and state of art amenities. Whereas the dental team treating Dental crown in India are committed to world class dental treatment with cutting edge skills and their vast experience. Medical tourism mixes leisure, fun and relaxation together with wellness and healthcare for Dental crown treatment in India. Hence with all these benefits, dental tourists all across the world flock for various dental procedures including the Dental Crown in India. The following are the Indian cities, wherein a world class dental treatment can be pursued. Developing cavities in of the most common dental issues found in the people throughout the country and especially when you have got the dental implants, it becomes more important that you save your teeth from any type of cavities. The dentists at the Indian Health Guru understand your struggle against cavities well and thus provide the solution to fix the dental crowns at very nominal prices. You can consult the doctors at the hospitals in India to get a fair idea about the procedure and they will assist you through the benefits and risk factors associated with the procedure so that you can make the decision properly. What is the Cost of Dental Crown in India? Apart from the cost factor, there is really no difference between dental crowns in the USA and abroad. Abroad, Dental crown (including the dentist's fees) will be priced at least 60-80% lower than that in the US. This price difference does not, however, amount to any loss in quality. This may surprise many who are not aware of the cost of living in some top medical tourism destinations. Here is a sample of what costs are in India compared to the United States.